Nothy fancy. Good Wifi. Comfy Room. Friendly Staff. We had the most amazing view from our 7th floor window/balcony (if you can count a 2'x2' area as a balcony!). The harbour with all its ships was awe-inspiring! The hotel is on the main drag and close to all the many restaurants and places that can arrange outings to the fabulous islands. The Thao Minh also has a restaurant and can arrange excursions. Great view from our room. Great location. Bathroom was subpar, old and not maintained. From other reviews, I thought this room would be great, but was let down time after time. Every time I approached the front desk, the women had heir faces buried in their phones and spoke very quietly to me so I could barely understand. Someone came knocking on our room and tried opening our door at some point one night. We had windows to the hallway that wouldn't shut all the way so you could hear every noise outside the room and vice versa. Room had many needed repairs. No services offered during our stay for some reason. Mattress was OK - not rock hard but still pretty stiff. Oh and blanket was extremely thin, try requesting an extra or sleeping with a towel. We're here for four nights, room never cleaned. Unbelievable noise from construction and hotel upkeep from 6:45am. We're punted out of our room before check out on our last day. No consideration for hotel guests at all. Good day tour of the bay's was booked here. We stayed at Thao Minh 5 nights. The room was comfortable and our room was made up every day. Towels and toiletries were provided. It is a great location on the harbour and was very easy to get off the bus and you were basically there. There were some big ants and a cockroach but the hotel staff bought in someone to spray them. Breakfast is very functional, there is baguette, one fried egg, fried rice or noodles and coffee. Breakfast is served until 8.30 so we only made it once. Do not understand how this hotel has a 7.7 rating. Room was filthy and old and filled with ants when we walked in. Window was broken, shower was broken, fan was broken, lamps were broken, bathroom light was broken, tv volume was broken and last but not least the toilet was broken. After asking twice the light was fixed, after asking 3 times, the toilet still wasn't fixed. Apparently they were fully booked so we couldn't even move. Staff are rude, especially at breakfast where we were blatantly ignored and after standing in front of the chef for a good 10 minutes he eventually served us up one fried egg each. That was breakfast. Location is good, on the Main Street, making it easy for you to change hotels. Do yourself a favour and don't even consider this hotel....oh and any room that apparently has a balcony that isn't the VIP room, actually has an area not even big enough to fit a chair...or open the door to get out. Customer services was really good and helpful. Also we found very cheap for the quality they provide and has buffet breakfast. 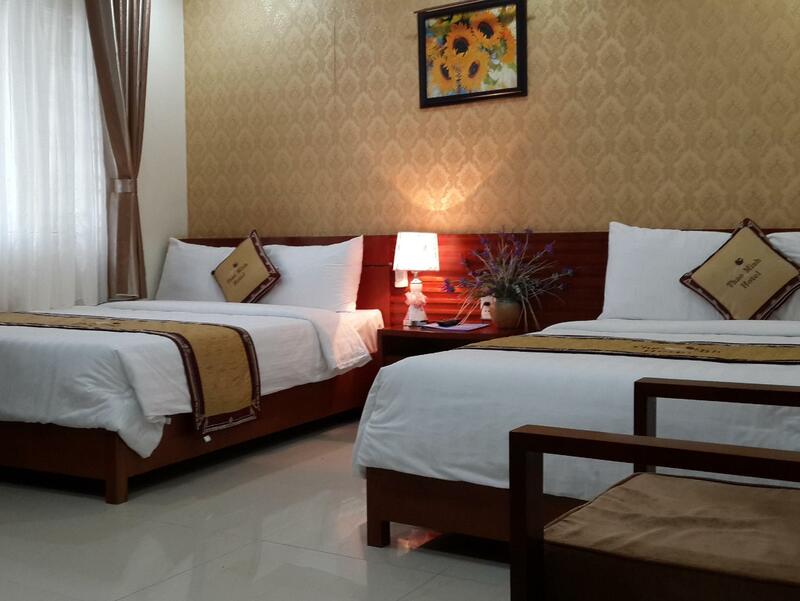 Furthermore, the rooms are clean with daily service. Our experience in this hotel was better that we expected for the price. The staff was very kind anf helful all the time. 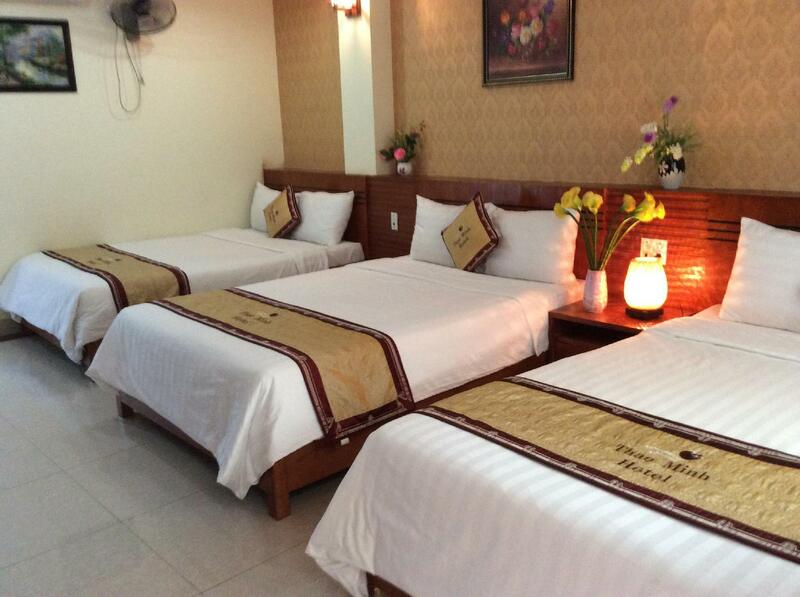 The rooms are almost new and very clean and they clean the room daily providing new towells. They offer buffet breakfast include on the price. In addition, we have eTen severals times on the restaurant and we discovered fare prices with a good quality. 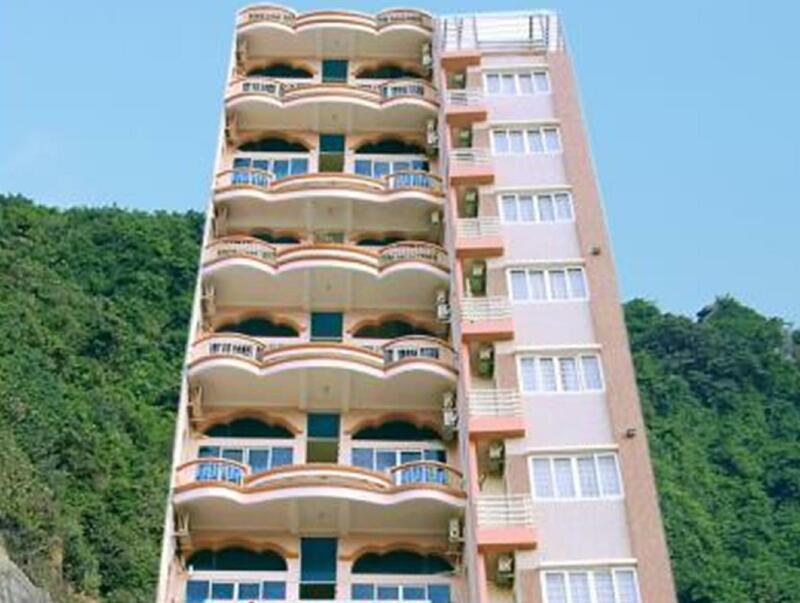 It is a very confortBle and nice hotel there is no doubt. Therefore, I would recommended. 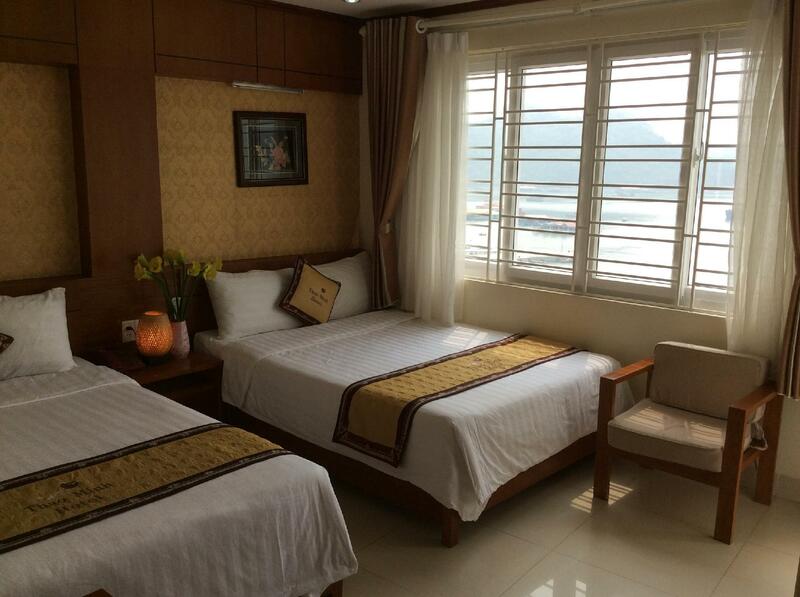 Sea view, room size, comfort of bed. We payed for a deluxe twin room with sea view which was great, as other rooms had no windows. 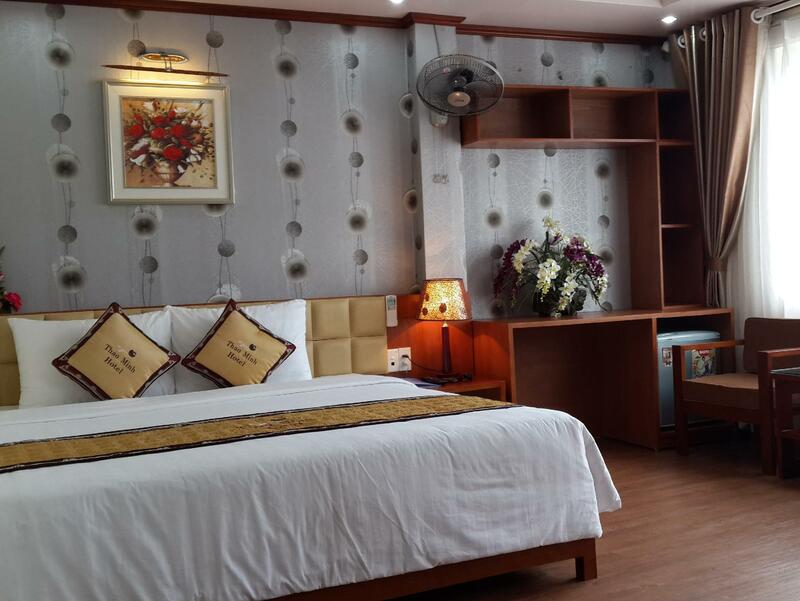 The room was big with two double beds, it was comfortable and clean and was it pretty good condition, however some of the lights didn't work but not a big issue. The staff were friendly, but the worst thing about it was the 'buffet' breakfast- it only runs from 6.30-8.30, which is not great of your on holiday to relax, and it is not a buffet, but a no choice option of one fried egg and a piece of bread wth no butter or jam ect. The coffee is sat there for hours and if they run out they don't make a fresh pot but fill it up with water. They have rice and noodles keeping warm over hot water but if you don't get there at 6.30 when they are made fresh they looks and smell awful! For the price of $17 a night this was a very poor breakfast. I was even refused butter when I asked for it in replacement for the fried egg! If they sort here breakfast out it would be much better place to stay.